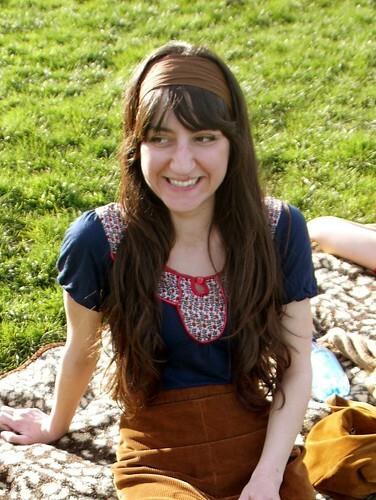 The wide headband and high-waisted skirt are great. I love her! That waist is teeny! She makes me think of Joanna Newsom. i love her shirt. i'd definitely stop her.